Despite missing his first attempt earlier in the game, Robbie Gould recovered by putting the game winning field goal through the up-rights as time expired at Soldier Field. 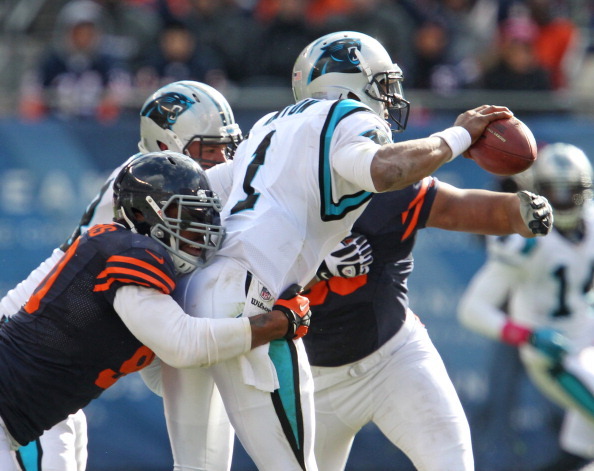 The Chicago Bears (6-1) were outplayed for three and a half quarters on Sunday by the Carolina Panthers (1-6). The Carolina defense was superior for nearly the entire game and was able to stymie Matt Forte who has been a nightmare for Carolina in their past encounters. Having only 2:27 left to play with one timeout was all that Jay Cutler needed to propel the Bears down the field and in to field goal territory for Gould. On the game winning drive Cutler completed five of six passes for 52 yards. On the day, Cutler completed 19 of 28 passes for 186 yards with one touchdown and one interception. Although it wasn’t beautiful, Cutler got the job done despite his three turnovers (one interception and two fumbles). The pressure on Cutler was consistent throughout the game and the Carolina front four was able to compile six sacks, one short of their season best. Cam Newton continued to turn the ball over despite a better performance all around especially on 3rd downs. Newton and the Carolina Panthers converted 10 of their 19 third downs (52.6%), a dramatic improvement from their average (31.7%). Newton completed 20 of 39 passes for 314 yards with two interceptions. 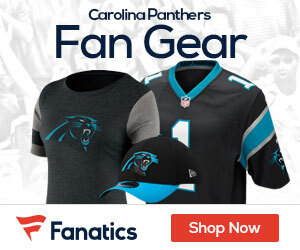 The Panthers outgained the Bears in total offense by more than 200 yards despite losing. The defense for Carolina has come a long way since their trials in 2011 but performed like the premier force they have been working to become. Matt Forte has found success against the Panthers in years past but was only able to earn 70 yards on the ground. The Carolina defense held utler and the Bears offense when it mattered most –only being able to convert 25% of their attempts on 3rd down. Unfortunately for Carolina the road does not get any easier. Next week they travel to FedEx Field to face the Washington Redskins. The Panthers are on the right track to finding some success especially after putting up a performance like they did today against the Bears; however, Cam Newton has to improve his decision making and the running game needs to become more of a factor.